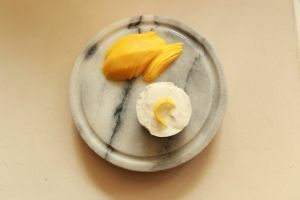 Ever since I made a vegan patisserie cream, I’m finding new delicious treats to make with it. 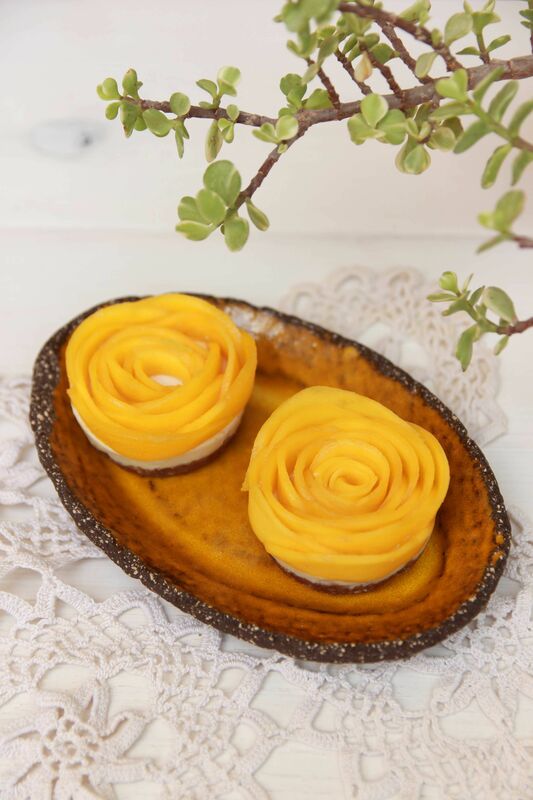 A while back it was my Mini Lemon Cheesecakes that were a huge hit among friends and readers, and today its these adorable vegan mini mango cheesecakes. 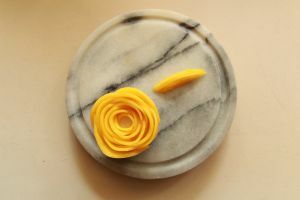 Now before you get all, “that rose looks too complicated for me,” let me assure you that after you follow my step by step picture tutorial you’ll see just how easy the mango rose is to make! So, what’s in them? The base is a combination of various nuts and dates, followed by a light, creamy patisserie cream, and decorated with a fine mango rose. And if all that isn’t enough, these no bake vegan cakes are also gluten free, refined sugar free and oil free. All you’ll need is a chilled carton of coconut cream and you’re ready to get started. 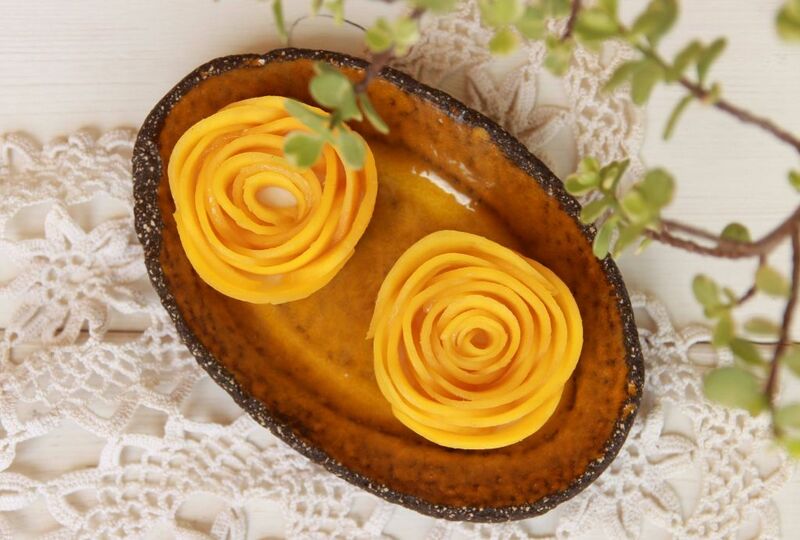 So, get your vegan on and let’s whip up these delicious no bake mini mango cheesecakes. You’ll need a carton of overnight chilled coconut cream for this. 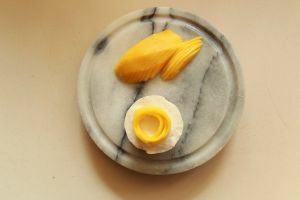 Place the corn starch into a small bowl, add 2 tablespoons of the coconut milk and mix. Add the lemon juice, lemon zest, maple syrup and the rest of the coconut milk into a pot and bring to a boil on medium/ low heat. When the mixture comes to a boil quickly pour the corn starch mixture into the pot and constantly whisk. 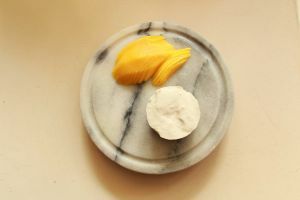 When the cream starts to bubble continue whisking for half a minute then transfer it into a clean bowl, cover the surface of the cream well with plastic wrap and pop it into the freezer while we prepare the base. Blend the medjool dates, pits removed, in a food processor to form a paste. Add the rest of the base ingredients and blend until combined. Evenly divide the mixture into 6 balls. Cut 6 thin, 4 inch-long (10 cm) strips of baking paper and place them on top of each muffin tray hole. Press the balls into the muffin holes to form a base and set aside while we assemble the cream. 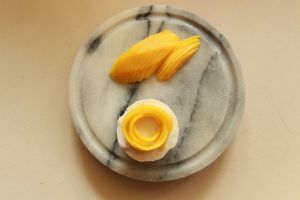 Peel and slice the mango into long “thin thin” strips. Take your filling out of the freezer and give it a good whisk to make it as smooth as possible. Next, whip the chilled coconut cream in a separate bowl then fold it into the cream. 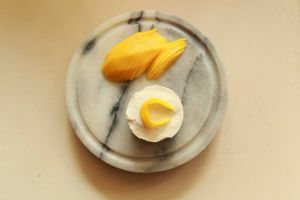 Evenly scoop the cream onto each base and pop it into the freezer for 20 minutes, then decorate with the mango strips as illustrated below and dig in! 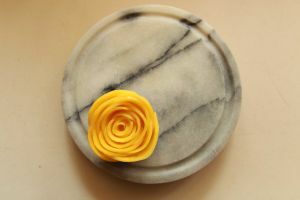 The mini cakes can easily be stored in the freezer just without the mango rose. 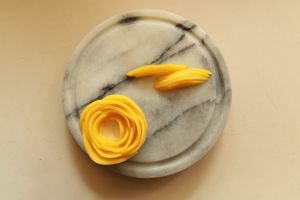 On the same day you want to serve them, let them defrost for about an hour, then assemble the mango rose, and keep them in the fridge until you’re ready to wow your guests. 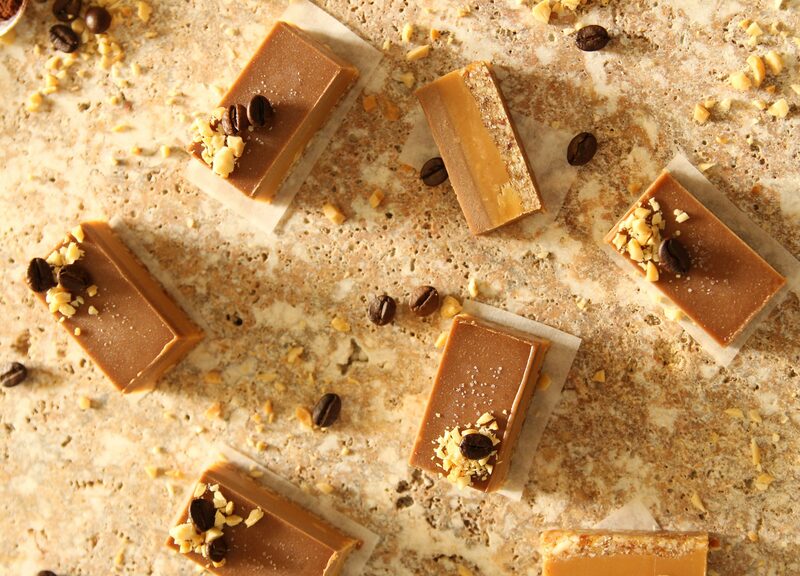 If you are looking for a great “grab out of the freezer and eat it” snack then you should try my Peanut Butter Bars, or my Pecan Bars. ← HomeMade Vegan Sausages – Without Foil! These look so pretty Elinor!! 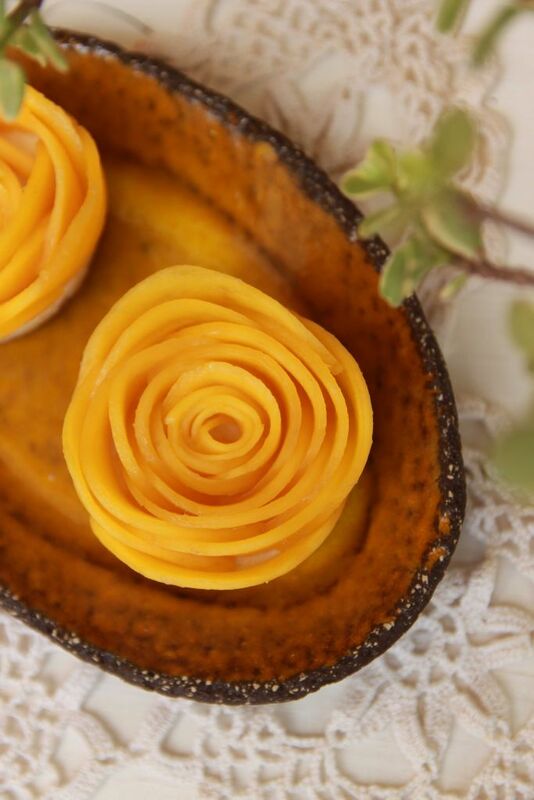 I love the mango rose :* Such a bright, sunny and cheerful dessert!